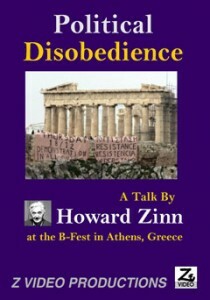 In this talk to Greek activists at a conference to discuss the historic December 2008 uprising in Athens (the B-Fest conference), Howard Zinn discusses the importance of challenging authority, particularly in so-called democracies. He references his many experiences confronting state power in the U.S. Recorded in Athens, May 2009. 30 minutes.